Important day in history, as today...back in 1955, is when Dr. Emmet Lathrop Brown came up with the idea of the flux capacitor. The idea came to him in a vision after being knocked out. He bumped his head after slipping off the toilet while standing on it to hang a clock. 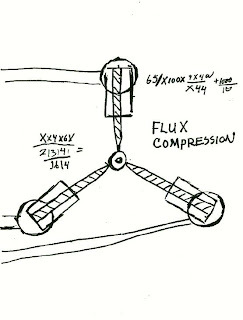 The flux capacitor, as we all know, is what makes time travel possible. Hard to believe that was 53 years ago. It seems like it was yesterday or maybe even...tomorrow. How awesome is the picture above? Pretty damn AWESOME! Yeah, that is a Calgary Flames jacket I am wearing. Remember Those Shoes I Wanted?